DUNCAN B.C. 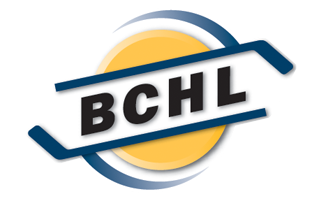 – The West Kelowna Warriors(17-12-0-1) faceoff tonight versus the Cowichan Capitals(7-17-4-1). The Warriors kicked off their Island road trip with a thrilling 7-5 victory last night in Nanaimo. It was a game in which the Nanaimo Clippers were trailing 5-1 after one period but managed to crawl their way back into the game making it 6-5 with over two minutes to go. The Warriors were able to score on the empty net only a minute later and leave Nanaimo with two points. Tonight the Warriors will be in Duncan to take on the Cowichan Capitals, who’ve only been able to win 7 games this season, but at the same time they are capable of defeating any club this season. This past Wednesday was a prime example. 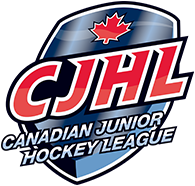 The Caps were able to put seven goals past the Victoria Grizzlies defeating the number one seed in the Island Division 7-4. Warriors Head Coach and General Manager Geoff Grimwood knows his team needs to take the Capitals seriously, “It’s not an easy rink to go into, they work hard, they’re a physical team. We can’t afford to take anyone lightly right now, technically we’ve lost 4 of our last 6 as well”. Catch tonight’s game on Mixlr and Hockey TV. Warriors Director of Broadcasting and Media Relations Chase Johnston is back on the mic with a pregame show 10 minutes before puck drop. Just a reminder that tickets are still available for the next home game versus the Merritt Centennials. Visit the Warriors website and select single game tickets for more details.